The photo showed a bearded man on board a tram, dressed in a dark blue hooded top. Police warned citizens not to approach the man, whom they identified as Gokmen Tanis, but call authorities instead. The Utrecht attack came three days after 50 people were killed when an immigrant-hating white nationalist opened fire at two mosques in Christchurch, New Zealand during Friday prayers. There was no immediate indication of any link between the two events. 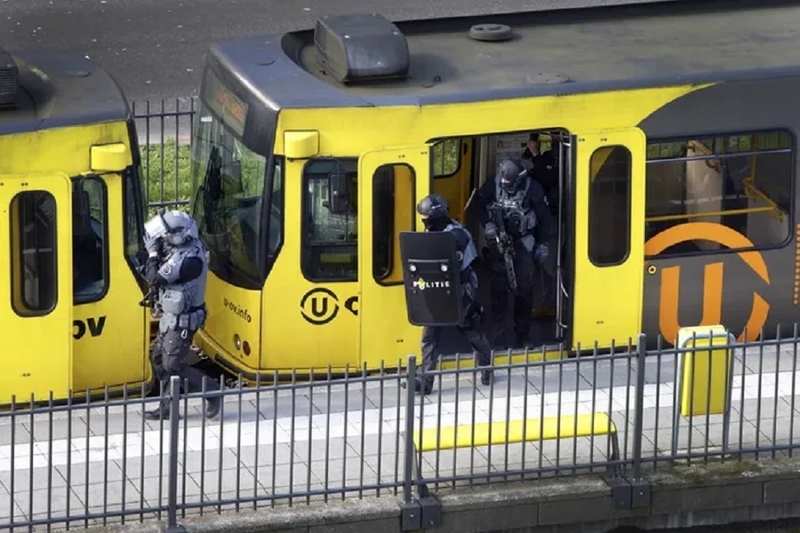 Police, including heavily armed officers, flooded the area after the shooting on Monday morning on a tram at a busy traffic intersection in a residential neighbourhood. They later erected a white tent over an area where a body appeared to be lying next to the tram. Rutte said that, throughout the country, “there is a mix of disbelief and disgust.” “If it is a terror attack then we have only one answer: our nation, democracy must be stronger that fanaticism and violence,” he added. Police spokesman Bernhard Jens said one possibility “is that the person fled by car.” He did not rule out the possibility that more than one shooter was involved. The Netherlands’ anti-terror co-ordinator raised the threat alert to its highest level around Utrecht, a city of nearly 350,000 people. Pieter-Jaap Aalbersberg said the “threat level has gone to 5, exclusively for the Utrecht province.” Dutch political parties halted campaigning ahead of provincial elections scheduled for Wednesday that will also determine the makeup of the Dutch parliament’s upper house. In neighbouring Germany, police said they had stepped up surveillance of the Dutch border.